Once you set up your company and your users, you can start adding your assets to Helm CONNECT. You will do this from the Assets tab in Assets, on the Management menu. This lesson will show you how to add an asset, such as a vessel, to Helm CONNECT. Adding new assets is a two-step process. First, you can quickly add an asset with just its minimum requirements: name, short name, and division. Later, you can add more details about the asset, including an image, assigned crew, and responsible parties. In the Name field, enter a name for the asset. In the Short Name fields, enter a short name for the asset. (Optional) From the Asset Type list, select one or more asset types. If you don't see the asset type you need, you can add a new one to the list when you edit the asset in the steps below. From the Division list, select the division the asset will belong to. If you don't select one, the asset will belong to your company's default division. To save the new asset, click Save. On the Assets tab, click the card for the asset you want to edit. Tip To quickly find what you're looking for, use the filters at the top of the tab to narrow the list. Click the Details sub tab. Click the image box in the upper left of the Details sub tab, then click Choose Image. Navigate to the image you want to use, then click Open. (Optional) To add responsible parties for this asset, click the Responsible Parties field and select the names of the people who should receive email notifications about this asset. Note The responsible parties will receive email notifications each time someone creates a new task for this asset, either in Logs or in Overview, and assigns it to shore. (Optional) To add a custom filed, click New Custom Field. Complete the necessary fields then click Save Changes. Now that you know how to add and edit an asset, let's take a closer look at some of the things you should keep in mind about your assets. Divisions control the data your users can see in Helm CONNECT, including any information related to assets, personnel, and other users. You must assign all your assets to a division. Note: If your company only has one division, all your assets will automatically be assigned to it. In Tracking, asset types help you manage your asset certifications. When you build a certifications template, you must indicate which asset type it applies to. For example, if you create a certifications template for your lineboats that lists two certifications, then any asset with the lineboat asset type will be required to have those two certifications. In Helm CONNECT Inventory, asset types help you manage your parts list. When you create your parts list, you can assign parts to specific asset types. This will filter the parts list when you set up your assets’ part inventory. The Assigned Crew field allows you to assign users to an asset and limit the information they can access from the Onboard menu in the browser version of Helm CONNECT. If assigned to a specific asset, a user will only be able to access information related to that asset. Note This feature does not currently apply to any information associated with Helm CONNECT Jobs. He or she is either in the parent division or the same division as the asset. You can check this on the Users tab in Users on the Setup menu. His or her role only has permission to items on the Onboard menu. You can check this on the Roles tab in Users on the Setup menu. The Limit to Assigned Asset check box is selected on his or her user profile. You can check this on the Users tab in Users on the Setup menu. He or she hasn't already been assigned to another asset. Each user can only be assigned to one asset at a time, although you can reassign them whenever you need to. Use the Responsible Parties list to select who will receive email notifications when tasks are created for this asset and assigned to shore. If your role includes permission to manage custom fields, you can click New Custom Field to add custom fields and track additional information about your assets. Any custom fields you add to one asset will be available for all your assets. Although you need permission to manage custom fields, any user can fill them out. You can edit or delete existing custom fields on the Custom Fields tab in Operations, on the Setup menu. 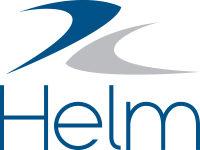 The Operating Areas field is only used for Helm CONNECT Jobs.